I kept the menu simple: hot crab, artichoke & jalapeño dip and chicken and sausage jambalaya; both recipes from New Orleans’ Chef John Folse. 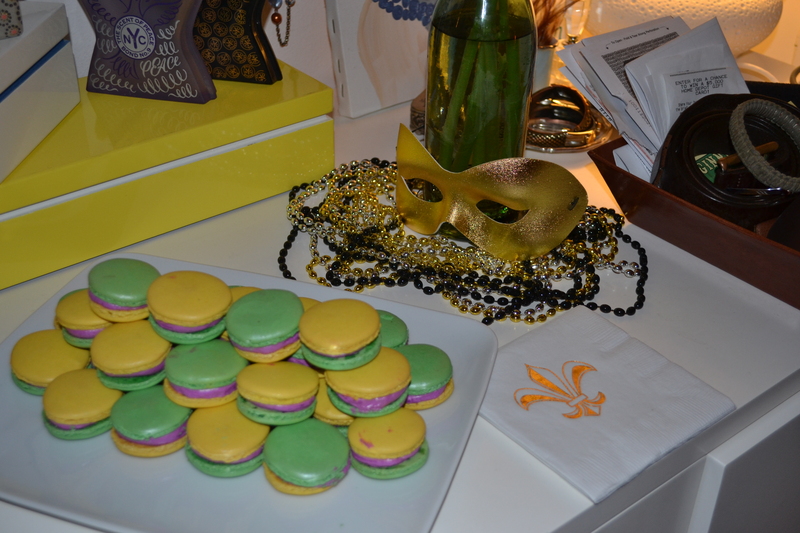 A traditional king cake and some not-so-traditional (but oh-so-pretty) macarons were a must, shipped in from Sucre. Two specialty cocktails were concocted: the original Pat O’Brien’s Hurricane and my own “Hollah”peños, both served in “go cups,” a Big Easy must. Add some brass bands, beads and beautiful guests and you’ve got yourself a good time, for sure! 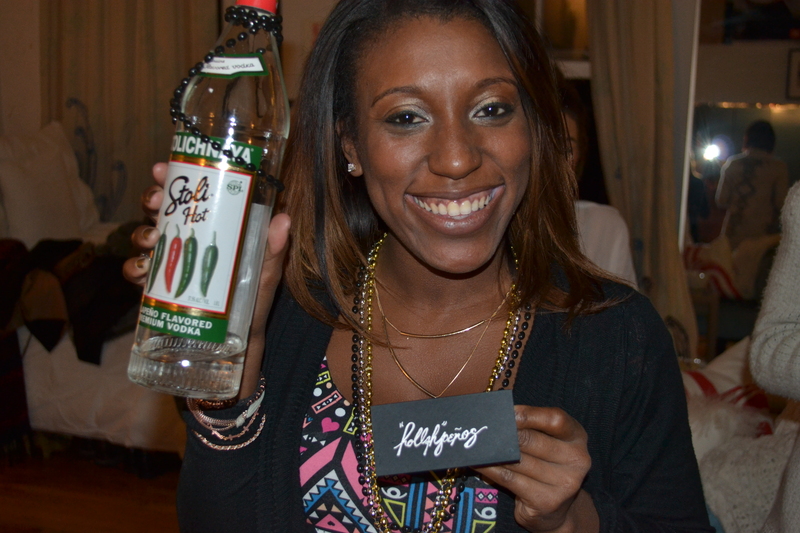 My lovely best friend, Amy of Obtainable Style, graciously documented our fete, all photo credits go to her.